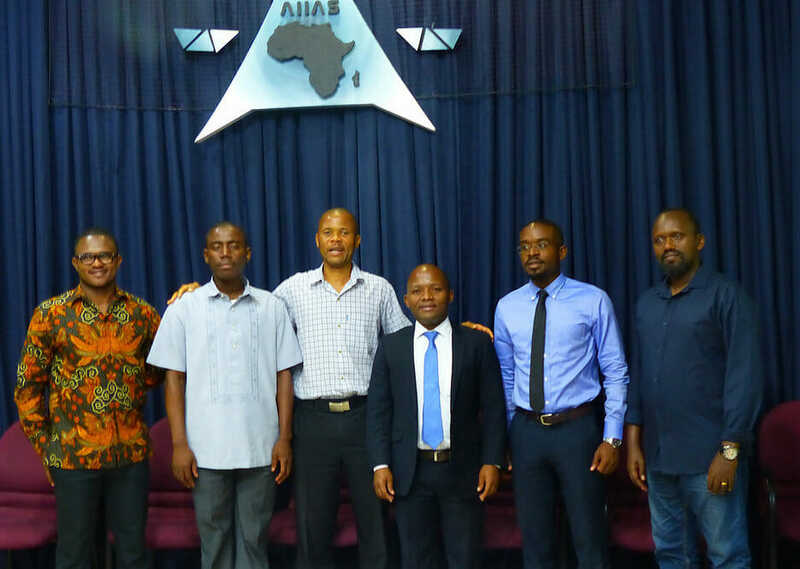 Leaders of the AIIAS African Theological Society (AATA) in the Philippines said they hope the launch of a new website helps the society to go from local to global as they share their scholarly work. AATA is a theological association whose members are professors and students at the Adventist International Institute of Advanced Studies (AIIAS) campus in Silang, Cavite. The new website was launched on October 31, 2018. “AATA has launched its website to make sure that we make our global presence tangible,” said Sanned Lubani, AATA 2018-2019 president, in a speech at the website launch. “Today, we are following the saying of John Naisbitt — ‘think globally, act locally.’ As we do our activities here at AIIAS and locally, we want to make sure that there is a global presence. The AATA will be known through our website, informing people of all our activities, our association’s officers, mission, and journals.” Lubani also introduced the mission statement, vision, motto, and core values of the association. Scholars around the world can now learn more about the association, discover reports about its academic exercises, and have access to the journals published after the annual AATA forums, Lubani said. During the ceremony, leaders also announced the upcoming 14th AATA Forum, slated for March 27-30, 2019. Organizers shared that the theme for the conference will be “The Bible and Culture: An African Perspective.” Scholars from biblical, theological, applied, and related disciplines are encouraged to submit proposals to be considered for presentation during the forum, they said. An original version of this story was posted on the AIIAS website.